I learned that my mom has fever and flu so we're planning to visit her tonight after my office works. I have to drop by at the nearest supermarket to buy fruit basket for her. Good thing Puregold Supermarket has opened their new branch here in Guiguinto this morning, it's just 100 meters away from our office and since it is also along the way we can easily drop by. Speaking of fruit basket, if you're planning to buy fruit basket online check out Cherry Moon Farm website and get big savings from their fruit baskets. 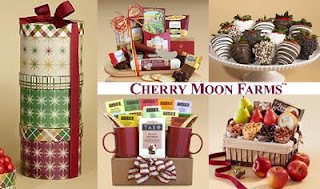 Simply look for cherry moon farm gift basket discount codes and use them to avail their 10-15% discounts. Aside from fresh fruit basket, you'll also find Mother's Day gift, birthday gift, wine gift, and gifts for any occasion at Cherry Moon Farms. This is a great compilation. Thanks for taking time to create a popular article for all of us.